Medan is one of the big city, even the capital of North Sumatera. This city experiencing rapid development about couple years ago. The city that identical with Toba Lake is quite popular as an attraction city. Especially, with the presence of Kuala Namun international airport that has been activated as public transportation. 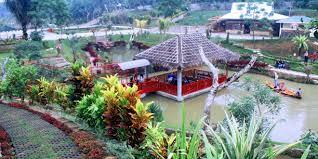 Medan has attraction like natural tourist. One of natural tourist in Medan that can relaxing your eyes is a garden flower. 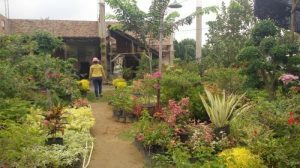 Here, som Garden Flowers in Medan that you must visit when you are in holiday. 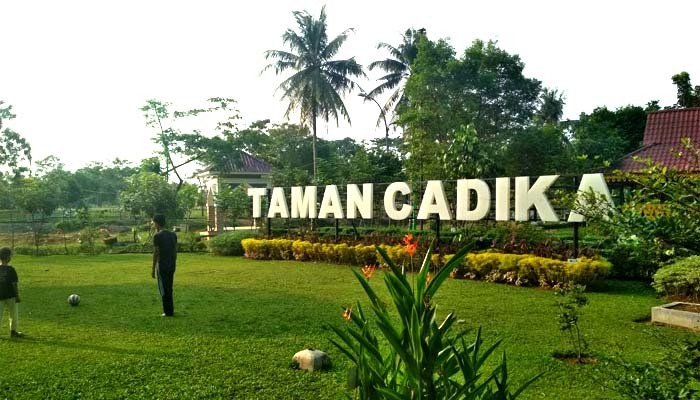 Cadika Pramuka Park is one of the garden flowers in Medan, that is in Karya Wisata street, Medan. This park was built on 2012. The breadth of reach 5000 reach square meters. And has a typical view of a beautiful garden and green. There are many shady tree. Some of tree are like smahoni, flamboyan, tanjung, kihujan, manggis, ketapang, and so on. Besides them, there are some flower in the garden that so colorful. The unique thing is lot of tourist come to see the articial lake. Sri Deli Garden is a garden that has a historical value and the omission of the Deli Malay Sultanate. This is in Masjid Raya strees and close to the palace of Maimun. Sri Deli garden has been exist since Sultan Ma’mum Al Rasyid Perkasa Alam era. His development goals is for relaxing place for Sultan Deli’s family. But, at the time that garden called Derinpark. Although the garden has been abandoned, but now the garden already revitalized. It is caused the condition got better, well maintained and served to be visited by. In the center of the garden also there is a trapezoid pool, and this pool always got maintained and cleaned so it is really look beautiful. Besides the pool, there are another facilities and infrastructure like the toilette, garbage and the chairs that you can relaxing on it. In this garden also has a memory photo that like a museum. There are some historical photos about Sri Deli garden and the sultanate of Deli Malay in the past. You may also visit Romantic Cafe and Places in Medan that You Can Enjoy. Avros Education Park is a garden in Avros street no. 60B, Meda. It is on the banks of Deli river. Inaugurated on 25th Sept 2014, this garden’s name is more popular and many tourist come to see it. This garden is fit for you to relaxing because has a calm atmosphere. The next garden flowers in Medan is Ahmad Yani Park. 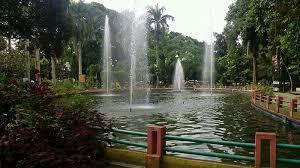 This park is in border of Sudirman street and Imam Bonjol street, Medan. 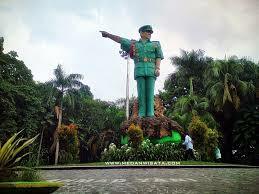 It is called Ahmad Yani Park because there is a monument sculpture of Ahmad Yani. The monument is about 11 meters. Banyan Garden Medan is on border of Cik Di Tiro street and Sudirman street, Medan. Like some garden before, this garden is so refreshing. Even the inside of the garden is set like forest city, with some little pool. The visitors can just come for refreshing or relaxing. Besides that, this garden is fit for family time. 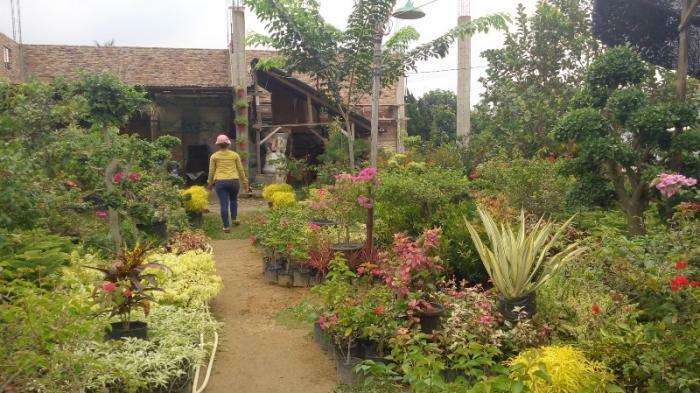 If you find the garden that full of colorful flowers in Medan, then you can come to The Le Hu Garden. In there, you will served by the beautiful flowers. 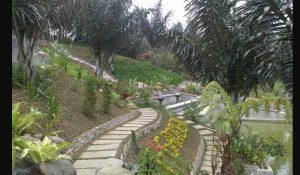 This garden is quite popular in Medan. It is because the location is so easy to be reach. Residents of Medan just come to Patumbak area, Deli Serdang that close to Medan city. When the holidays or weekend, this garden always become a jujugan of local citizen for relaxing. The tourist also come for teenager because this place is a good place for hunting some photo. In Danau Toba area, there is a café that has a unique thing about Medan. It is because the café has the attraction of maze that you can come in. 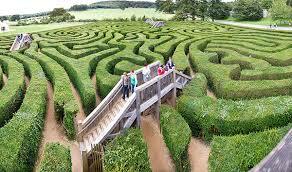 It is a Maze garden. This Maze garden is made by green trees. The shape is circular with the route that can make you reminds of fairytale story. If you want to come, you must pay the ticket. The visitor can surround the maze from enterance to the exit. Although it looks easy, there are the traps that must lookout. Unless you will get loss. If you come to exit door, the tourist can find information central form Simalem resort called Fountain of Wealth. It is like monument fountain. This location are lot of the visitor want to take a photo. Last about garden flowers in Medan, This place is in Gang Madirsan, Bangun Sari, Medan. 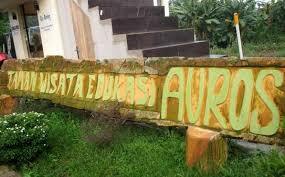 There ia a big Arch reads: Wisata Bunga Bangun Sari. The tourist can come to Gang Madirsan and welcomed with some flowers and some plants. Because, basically the village are full of the flower farmer. This thing make this place more refreshing. It is reasonable, if this area is full of tourist. You can shop for some plants or flowers and take a photo . That’s why Garden Flowers in Medan, visited by the tourist. Happy holiday and don’t forget to keep clean when you come to the garden.